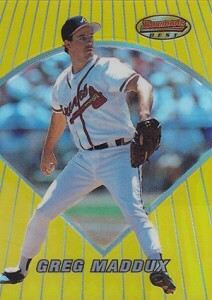 1996 Bowman Baseball won't win any awards for its rookie selection. In fact, it's among the worst for the brand since it was revived in 1989. But it does reflect changing times in the hobby with more inserts and a full parallel set. 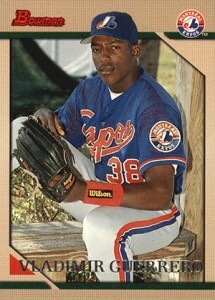 The 1996 Bowman Baseball base set has 385 cards. This is down significantly from 1995, which has 439 and 1994's 682. Still, you'd think that even with the smaller selection that there'd be one or two notable rookie cards in there. But that's not the case. 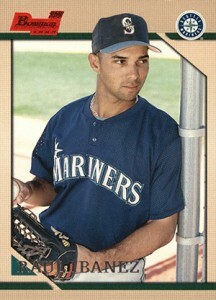 Jose Guillen, Carl Pavano, Raul Ibanez and Mike Cameron are among the best it has to offer. 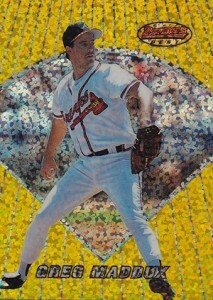 Topps was fully buying into the prospecting nature of the brand with a couple of new features in 1996 Bowman Baseball. 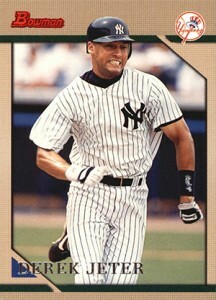 The first is the addition of a "1st Bowman Card" notation on the front of players making their brand debut. It might be small, but it's something that is still used today. Topps also offered a sort of value insurance for the first time with the product. For $5, collectors could send in for a certificate that said Topps would buy back a complete set in 1999 for $100. Those that took advantage of the offer made out well by today's values. The full 385-card base set has a foil parallel. These are inserted one per pack. While Topps had Gold parallels for the foil subset cards in 1995, this is the first time for the brand that there's a full parallel set. 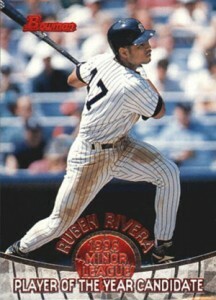 1996 Bowman Baseball also has a couple of insert sets. Minor League Player of the Year Candidates is a 15-card set that highlights some of the top players making their way through the MiLB ranks at the time. Two are inserted in each box. 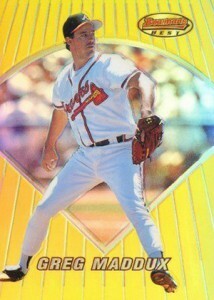 1996 Bowman's Best Preview is a promo set of sorts for the more premium product that came later in the season. Regular versions of the set's 30 cards are inserted 1:12 packs. There are also Refractor (1:24) and Atomic Refractor (1:48) parallels. 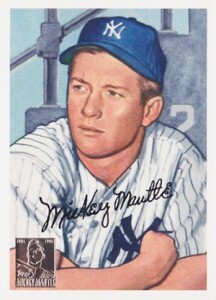 Topps paid tribute to Mickey Mantle in many of the 1996 products. This is no exception. Every other box has a Mickey Mantle Commemorative card reprinting his 1952 Bowman card. 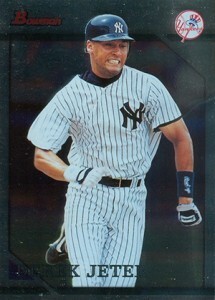 Number 20 in the set, it's intended to join other Mantle reprints found in 1996 Topps Baseball. 385 cards. Shop for sets on eBay. 30 cards. Inserted 1:12 packs. 1 card. Inserted 1:48 packs. 15 cards. Inserted 1:12 packs.